"I'm not a prosecutor, I'm a journalist," said Vicky Ward. The woman behind a blistering new book that aims to dissect the personal and business lives of Ivanka Trump and Jared Kushner said in an interview on the ABC News podcast "The Investigation" the power couple has appeared "remarkably unstoppable" going back to President Donald Trump's campaign. "As to whether or not these two will be held accountable, I think this [could go either of] two ways," said Vicky Ward, the British-born author of "Kushner, Inc.: Greed. Ambition. Corruption. The Extraordinary Story of Jared Kushner and Ivanka Trump." "Either they will [face scrutiny from] a combination of Congress and prosecutors. Or their path, their trajectory, will continue as it has, which seemingly is remarkably unstoppable." 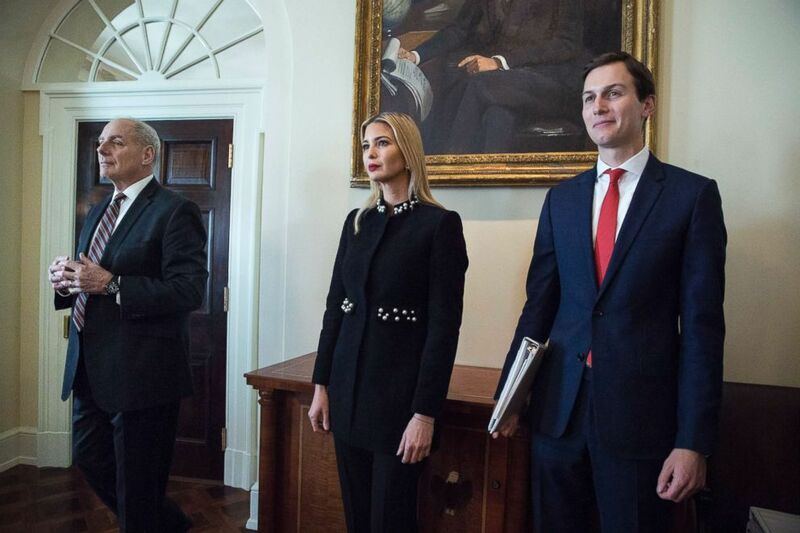 (Michael Reynolds/Pool via Getty Images, FILE) From left, White House Chief of Staff John Kelly, Ivanka Trump and Jared Kushner attend a meeting with President Donald J. Trump and members of his Cabinet, in the Cabinet Room of the White House, March 8, 2018. Ward said she doesn't know whether any of the conduct described in her book will lead to legal problems for the president's daughter and son-in-law. She said her book covered some of the same subjects that were raised in letters that House Judiciary Chairman Jerold Nadler sent to 81 people and entities as part of a wide-ranging investigation into allegations of obstruction of justice, public corruption and other abuses of power. From the time she began working on her latest book Ward said she was warned the White House would try to undermine her credibility and discredit her work. "I was warned back in the summer before I'd actually written a single word," she said. "Someone very close to the Kushners said they're going to go and try and discredit you," Ward said. "I mean, I knew right from the outset that's what their plan was." She said she has been told that aides to Donald Trump have been calling people they believed had granted her interviews, asking them to "disavow" the book, which hit stores Tuesday. 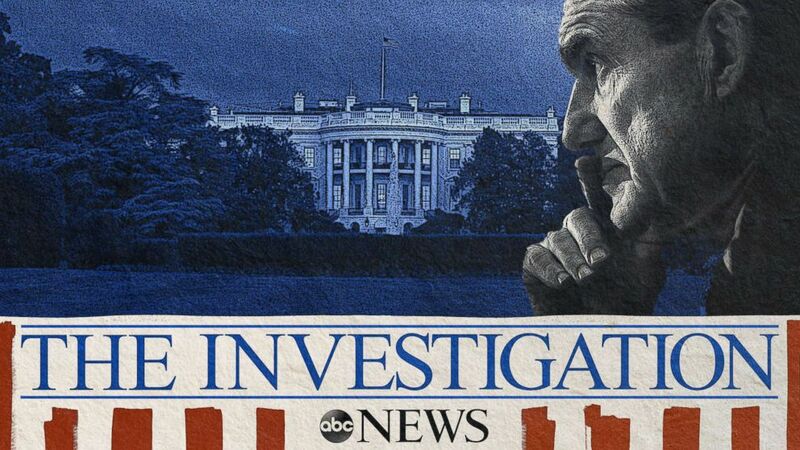 The book presents a scathing portrait of the president's eldest daughter and son-in-law, portraying them as amoral and unscrupulous operators who migrated from New York real estate circles into plum White House postings. Ward's book prompted a public condemnation from the White House and from a private attorney who represents the couple. Ward said she interviewed more than 200 people, has at least two sources for every claim and, according to Ward, had a team of seven fact-checkers vet it before publication. "Every point that Ms. Ward mentioned in what she called her 'fact checking' stage was entirely false," countered Peter Mirijanian, a spokesman for Kushner, and Ivanka Trump's attorney, Abbe Lowell. "It seems she has written a book of fiction rather than any serious attempt to get the facts. Correcting everything wrong would take too long and be pointless." A statement released by White House press secretary Sarah Sanders declared that it was "sad, but not surprising" that the media "would spend time promoting a book based on shady anonymous sources and false information, instead of all the incredible work Jared and Ivanka are doing for the country. The author, on her own website, listed this book in the category of 'fiction' -- until recently changing it. Her initial representation was accurate." Ward told ABC News that she was "slightly surprised" that Sanders had picked up on an error, which had initially mis-categorized her book as fiction on her personal website, but was corrected two months ago. "I was amazed that Sarah Sanders or somebody in the White House thought it worth their while two months ago to be looking at my website so closely," she said. It is not surprising that Ward's book has prompted push back from those close to the president. In chapter after chapter, Ward makes the case that Ivanka Trump and her husband have plowed through protocols that for generations were aimed at preventing public servants from exploiting their power for personal enrichment. "The book's main theme really is about two people who we all hoped, at the outset of this administration, would be the moral center of it -- would be moderating influences on a president known for his extreme character and extreme policies," Ward said. 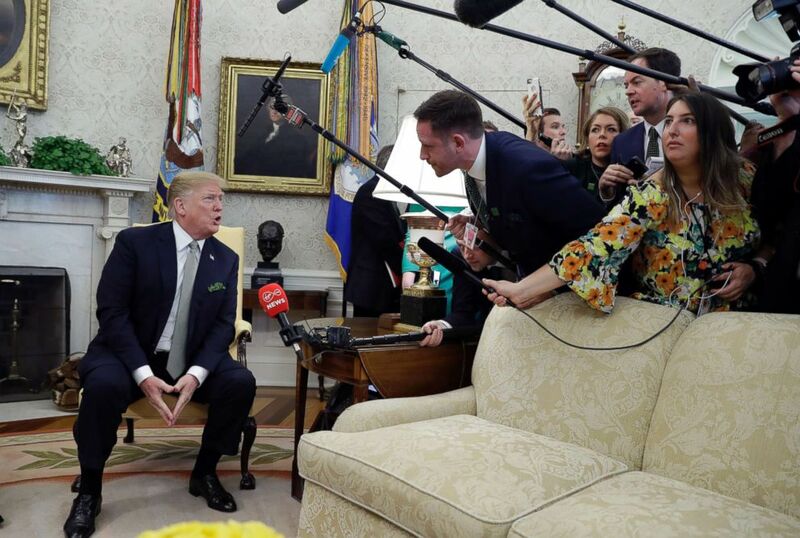 (Evan Vucci/AP) President Donald Trump talks to the press during a meeting in the Oval Office of the White House, March 14, 2019. "Most people go into government for public service," she said. "They do seem to have gone in for self-service." Ward said that her book does not conclude that Kushner or his wife broke any laws. "I'm not a prosecutor, I'm a journalist," she said. "I think that there are many threads that 'Kushner, Inc.' throws up and it's then up to the prosecutors to see whether it's worth pulling on those threads." She argued that one of her book's "biggest reveals" is a section that describes how Kushner allegedly pushed the president to fire then-FBI Director James Comey -- a decision that drew harsh criticism from Democrats who considered the dismissal an attempt to take legal pressure off the Trump administration. In her wide-ranging discussion on "The Investigation," Ward said she recognized that many of the people who provided unflattering anecdotes about Kushner and Ivanka Trump did so after clashing with one or the other of the pair on the campaign or in the White House. There are chapters that vividly depict contentious interactions between Kushner and Ivanka Trump political adviser Steve Bannon, former Secretary of State Rex Tillerson and economic adviser Gary Cohn. "I am fully aware of all the different personal agendas and personal vendettas," she said. "I mean, one of the challenges when you report a book like this is not to take just one person's version of events." She said she overcame that challenge by recounting scenes only when they had been described to her by more than one source.